For the time being, European democracy remains largely national. 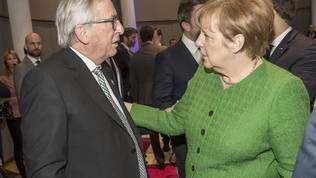 This is, as briefly described as possible, the outcome of the informal EU summit, which took place in Brussels on 23 February. The result alone is not a big surprise, given the still strong Eurosceptic sentiment. What is surprising, however, is the source of the blockade - the institution that considers itself the most democratically legitimate - the European Parliament, which rejected the proposal for a transnational electoral list to be tested for the 2019 European elections. 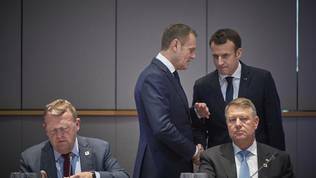 The idea is old, but it got a rare golden opportunity, firstly due to Brexit as it is freeing 73 MEP positions, and, secondly, because it has a strong ally in the face of France's anti-establishment President Emmanuel Macron, who spoke extensively about the idea in his European speech in the Sorbonne in September. The EU is a multi-layered and multi-speed structure built on the principle of common interests and mutual compromises. This sometimes creates a rather schizophrenic situation where the same figure can play several roles, and they do not always complement one another and may even be in conflict. This is the case, for example, with the European Council, where the heads of state - prime ministers and presidents - sit. They make decisions on behalf of their countries, but always in accordance with the common European interest. At the same time, the same heads of state lead their national parties and, as party leaders, participate in the work of the European political families, where European party interest is predominant. The latter has been an increasingly vague political category since the political outlines that had taken shape in the 20th century began to blur. Social democracy is in crisis all over Europe, which poured oil to the fire of the extreme left; the right-wing lives through its omnipotence and flirtation with nationalism and euroscepticism (which in fact is the same); liberals are too geographically limited (they are mainly spread to the northwest) and have serious existential problems due to the growth of illiberal forces; and greens are too narrowly specialised to offer a wider alternative. They are usually an add-on to something bigger. With the great enlargement of the EU toward eastern Europe in the early 2000s, European political families have swallowed up political parties that are currently very Eurosceptic, nationalistic and anti-democratic. National parties, on their part, send representatives in the European Parliament. Some of them are fighting for the European interest, but more and more MEPs are struggling for the national interest, which in some cases is against the European one. Emmanuel Macron's young movement, "En Marche! ", created just a year before he won the presidential and then the 2017 parliamentary election, is not part of any of the European political families, and it seems that it will not be. That is why the transnational list is so important to Emmanuel Macron - it creates a new nuance of democratic legitimacy that can bypass the monopoly of European political mastodons and, at the same time, create a more distinct layer of European democracy or, rather, a more direct European democracy. The aim is that politics at European level becomes more European and less national. According to Mr Macron, building a strong Europe requires MEPs to be supranational, which will be particularly important in the context of deepening eurozone integration as one of the steps is introduction of a eurozone budget that will be monitored by the European Parliament. In the previous European elections in 2014, the system of leading candidates, known by its German name Spitzenkandidaten, was tested for the first time. Then, the European Parliament succeeded, through strong pressure on the member states, to push the idea forward ostensibly with the aim to increase the European dimension in the otherwise too national elections for a European Parliament, but in fact it only increased its price. With the introduction of the system, a key figure was removed in the distribution of European posts, which is expected to unravel in full next year when the mandates of the bosses of a number of European institutions expire. Typically, the distribution of European posts is a tortuous process of seeking a difficult European balance, which takes into account several factors: national and/or regional representation, party affiliation, very rarely gender affiliation. The Spitzenkandidaten procedure effectively deprives the European Council of the possibility of playing the European Commission pawn in order to solve this puzzle. In 2014, most European political parties nominated their own candidates for the post of Commission chief after primary elections. Candidates competed among themselves in debates, some of which were also broadcast on national televisions. In this election, the European People's Party once again was a winner, so its leading candidate Jean-Claude Juncker was installed as European Commission chief, despite reservations and resistance in the European Council. However, the outcome of this democratic exercise are controversial. On the one hand, the Spitzenkandidaten procedure gave Jean-Claude Juncker more democratic legitimacy, especially in the context of Brexit and the endless claims of Brexiteers that unelected European officials dictated the fate of the British people. 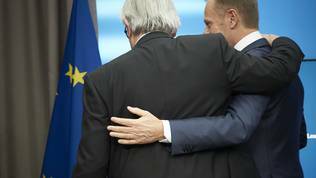 The process also reinforced the political role of his position, which is clearly seen in his clashes with European Council President Donald Tusk (Poland, EPP), elected after the well-known model of bargaining behind closed doors in the European Council. This, however, has increased the fears of opponents of the procedure that the European Commission will become more political. But there is no direct connection between the two. A president selected by the lead candidates procedure will not necessarily make the European Commission political. This is very dependent on the candidate's personality. European policy is in Juncker's DNA, and that is why he has made the Commission so political. Another reason is that he did not want to be a Commission head but was looking at Tusk's chair, who also made his post much more political than his predecessor Herman Van Rompuy. On the other hand, Jean-Claude Juncker was elected by many of the party leaders represented in the European Council, that is to say, thus creating some duplication. At the same time, however, the Spitzenkandidaten procedure has failed to Europeanise elections at national level. MEPs won their seats through national party lists, sometimes even without mentioning the EU, not to mention specific European issues . Besides, the procedure has a major defect that euinside explained in detail back then, namely that there may be a conflict between Spitzenkandidaten and national lists. For example, if you liked Guy Verhofstadt in 2014, it meant voting for the Bulgarian Movement of Rights and Freedoms, or if you liked Juncker, you had to vote for the GERB list. 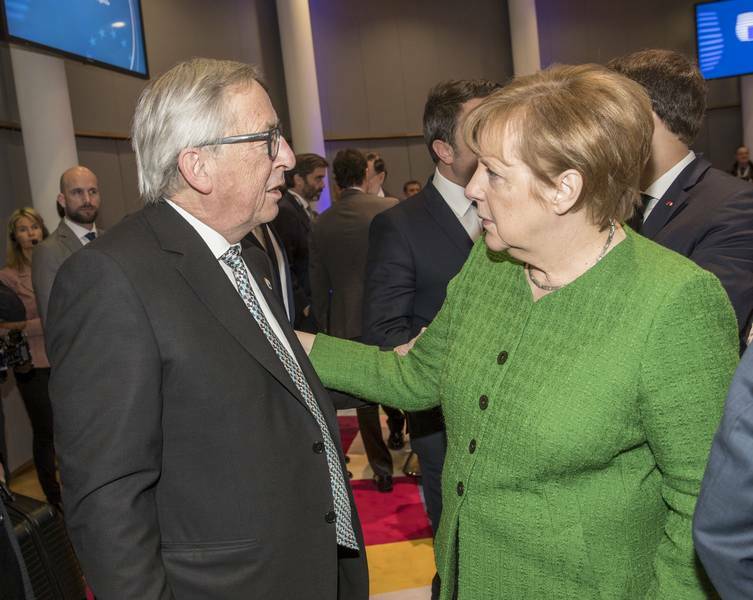 Shortly before the informal EU summit on 23 February, the European Parliament approved a resolution calling for the Spitzenkandidaten procedure to be applied to the 2019 elections too, but proposed that the transnational list be left for later on. The debate before the vote showed that the European Parliament had already lost much of its quality and the European added value, as many of the arguments were unfounded and bordering with alternative facts. After all, the quality of democracy depends entirely on the quality of its representatives. And when anti-democratic parties, who deliberately undermine the independence of institutions, refuse accountability, control the media, and conduct anti-European and xenophobic campaigns paid with public money, there is no way for a debate on a European level to be of much quality. On behalf of the largest parliamentary group (EPP), György Schöpflin (Hungary), a member of Orban's party, "Fidesz", said that in order to have a transnational list, there must be a European demos to be represented. "If the transnational list (TNL) does happen, then this Parliament will have 27 free-floating MEPs answerable to none. They will have power without an electorate, they will have power without accountability and power without responsibility [...] That, if you ask me, is about as undemocratic as it gets". His Polish colleague, Michal Kazimierz Ujazdowski, fully agreed with his position. Ujazdowski is a former member of "Law and Justice," which is currently undermining Poland's democratic foundations, but has been elected in the European Parliament as an independent. He is a member of the European Conservatives and Reformists Group, which also includes "Law and Justice". He thinks the idea is being pushed by the federalists. "This idea would weaken the link with the citizens," he said without providing meaningful evidence of how this would be the case. The Polish Conservative cited the arguments of Croatian Prime Minister Andrej Plenković, himself a former MEP from the EPP, before the European Parliament in early February that the idea is not feasible at this stage because it is necessary for all member states to change their national electoral legislation, which takes time. It is also unclear who will fund the campaigns of members of the transnational list and how it will be organised in the member states. The former Belgian prime minister and one of the most pro-European MEPs in the current EP, Guy Verhofstadt, who was a Spitzenkandidat for ALDE in 2014, denied claims that TNL would alienate citizens. "Quite the contrary. Why? Because, in the proposal that you have before you, people will have two votes. One vote is for a national candidate, for a national list, to keep the link between the citizen and his or her MEP; and a second vote is for transnational candidates, to strengthen the link between the citizen and the European Union", explained Mr Verhofstadt and stressed that a second Brexit would not happen and that the current window of opportunity would not be repeated. Some greens spoke in support of the TNL, the idea being backed even by MEPs from the eurosceptic anti-establishment movement "Five Stars". "Five Stars movement decided to accept TNL after very tough conversations," said Fabio Massimo Castaldo, MEP. The proposal attacked yet by another MEP from the EPP, the Spaniard Paulo Rangel. "If we accept the constitutional Frankenstein monster that is the transnational list, we accept something that does not exist in any federal state, as Mr Verhofstadt has proved here today, because he cannot give one example of it, not even in Belgium that has quite a similar system. If we are not a federation, why should we have a joint constituency that not even federations have?" were Rangel's arguments. His Romanian party fellow Cristian Dan Preda admitted that there are currently no real European parties. "But a TNL could create truly European parties. Parties that would stand for Europe", he said. Some MEPs from the new member states used a strange argument. According to them, if some countries are not yet in the Schengen or the eurozone, there cannot be a common list. This was the opinion of Croatian MEP Dubravka Šuica (EPP), Slovakian Monika Benova (Socialists and Democrats), her fellow party member Andrejs Mamikins (Latvia). Why can't there be a transnational list if those countries are not in the euro area and/or Schengen, since their representatives can be MEPs? The resolution was supported by 400 MEPs. Against it voted 183, and 96 abstained. According to VoteWatch, 75% of MEPs voted along the political line of their parliamentary groups. The Bulgarian MEPs that voted against were Nikolay Barekov (ECR), Angel Dzhambazki (ECR), Momchil Nekov (S&D). Andrey Novakov (EPP) was absent, and Sergei Stanishev (S&D) did not vote. Georgi Pirinski (S&D) and Emil Radev (EPP) have abstained. Of the Croatian MEPs, only one voted against - Davor Škrlec (Green/EFA), and Ruža Tomašić(ECR) has abstained. The resolution supports leading candidates and offers a new distribution of seats after the UK leaves. Some MEPs argued that TNL would be used by populists and eurosceptics to enter the EP, which is ridiculous because even now the European Parliament is full of those, and they have entered through national party lists. The thesis that there is no European demos and that the transnational list is undemocratic is weak. There is no need for a European demos to be able to vote for a common list. Moreover, democracy does not mean just parties. The transnational list is definitely an innovation that, if properly designed, will do what has never been done so far in European elections - to raise these elections at a European level by committing European citizens to vote on certain topics. During the debate, there were also opinions that one person cannot represent both Germans and Portuguese at the same time, which is also untrue. Among the advocates of this opinion is the German MEP Elmar Brok (EPP). A candidate from such a list can advocate certain European solution which could be supported simultaneously by Portuguese, Germans, Scandinavians or people from the Balkans. 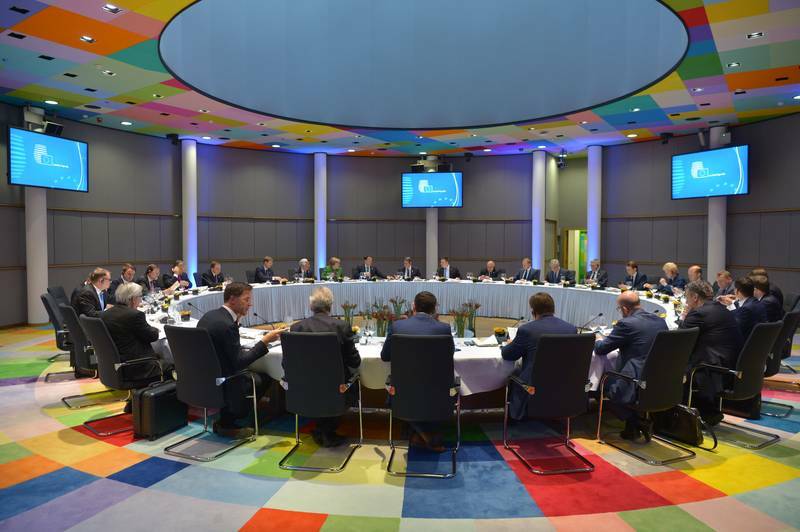 Although the European Parliament rejected a TNL, European Council President Donald Tusk decided to put the topic on the agenda for the leaders' debates on February 23, given "the political interest in it and its link to other institutional issues." Despite the EP's resistance, the idea is not feasible anyway for the 2019 elections because it requires a change of EU electoral law. This must be done a year before the election. The decision also calls for unanimity in the Council, a consent of the European Parliament and ratification by all national parliaments. If introduced without a change in the Treaties, a mechanism should be set up to ensure the principle of digressive proportionality and that a maximum number of MEPs from a member state will be able to run for all seats, including those that are part of the general constituency, says Donald Tusk's note to the leaders. Though the idea is impossible a year and 2-3 months before the European elections, President Macron was disappointed. He believes many leaders have regretted the EP's decision to reject the idea. "I myself very much regret it because it is a concept that I supported strongly. But we agreed to continue to discuss the matter and to work on the political as well the legal aspects so that in 2024 translational lists could be made possible. Those are visions supported by France and a number of member states, and it is important that this vision be coherent and in favour of a more democratic Europe" said Mr Macron after the end of the meeting. From his words it could be concluded that he insisted that the Spitzenkandidaten procedure is not to be supported if there were no transnational list. The European Council rejected the so-called automaticity of the procedure, that is, the candidate of the strongest European political party to become head of the European Commission. "What we want is to propose some genuinely transnational lists and the leader of such a list could be what is called a Spitzenkandidat. And in this respect the EP very much challenged what these genuinely democratic reality that could have been somehow an evidence, something obvious for the Commission and the Council", he said, adding that the candidates of the European parties are only somewhat legitimate, because the European Council also has the right to propose a candidate. "We unanimously agreed that there will be no automaticity, no automatic appointment of any Spitzenkandidat. The work in favour of a democratic Europe remains a must. The EP has missed an opportunity in this respect", Emanuel Macron continued criticising. German Chancellor Angela Merkel, who supports the procedure in principle, explained that it was broadly accepted that there would be no simple majorities in the future European Parliament. "We don't know who will coalesce with whom" she said, adding that sometimes the formation of a national government does not guarantee that the candidate of the strongest party will lead the government. Macron's idea of ​​transnational lists may not have passed but, on the other hand, another of his ideas was supported, which would once again bypass European political parties and fill the niche of talking on European issues. This is about holding democratic conventions to discuss the future of Europe. In his words, 26 countries have agreed to organise dialogues with citizens at national level on current European issues, which means getting European issues into the national debate. Something that European political parties constantly fail to do. Consultations should take place in the next six months, and a report on their outcomes is to be prepared by the end of the year. 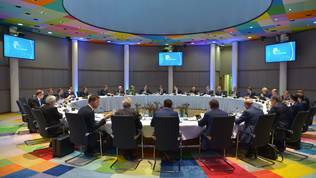 The leaders of the member states will discuss the report at the December European Council. Besides the UK, which is leaving, dialogues will not be organised in Hungary. "I don't think I will surprise you," Emanuel Macron said. The leading candidates topic once again brought to light the conflict between Jean-Claude Juncker and Donald Tusk. 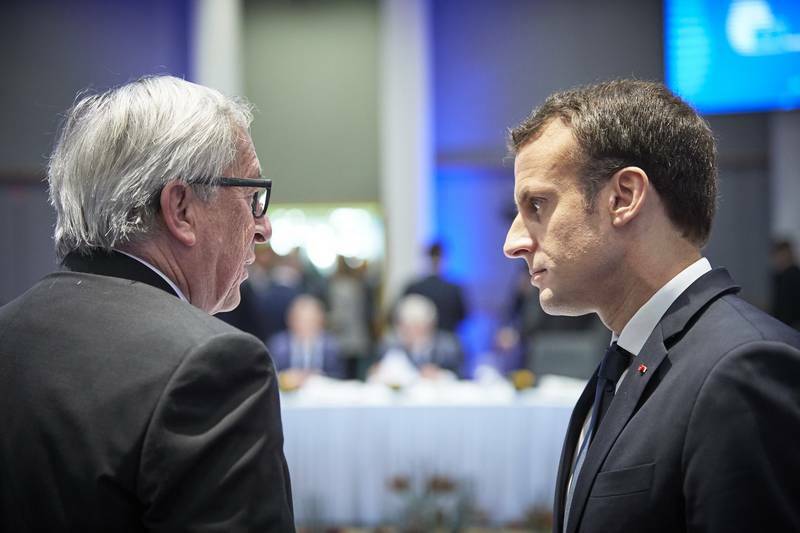 Juncker insisted that the Treaties are quite clear, and although they do not contain automaticity, nothing has changed since 2014, so the procedure should be in place in 2019. "The Treaty says the Parliament has to elect the president of the Commission, so in democratic terms this would imply a hierarchy of influence which we should not be too quick to forget" he said, after Donald Tusk explained that the Treaty is very clear that "it is the autonomous competence of the European Council to nominate the candidate, while taking into account the European elections". 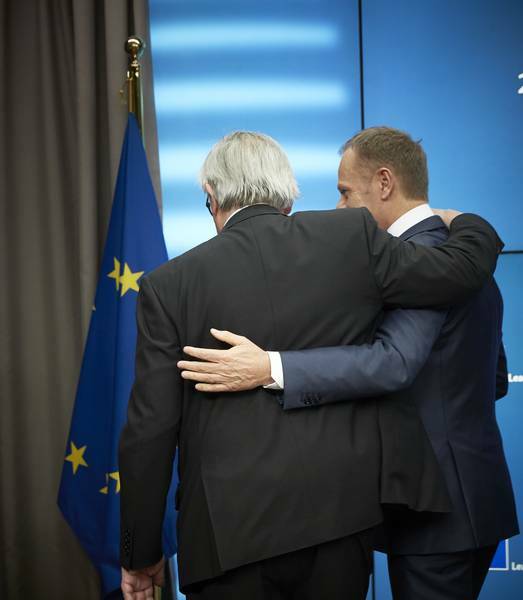 Tusk did not remain obliged by insisting that the European Council has the right to decide. He went even further by saying that "the idea that the Spitzenkandidaten process is somehow more democratic is wrong. The Treaty says that the President of the European Commission should be proposed by the democratically elected leaders of the Member States and that he or she should be elected by the democratically elected members of the European Parliament. This is the double democratic legitimacy of the Commission President. Cutting away any of the two sources of legitimacy, would make it less democratic, not more", stressed Mr Tusk. 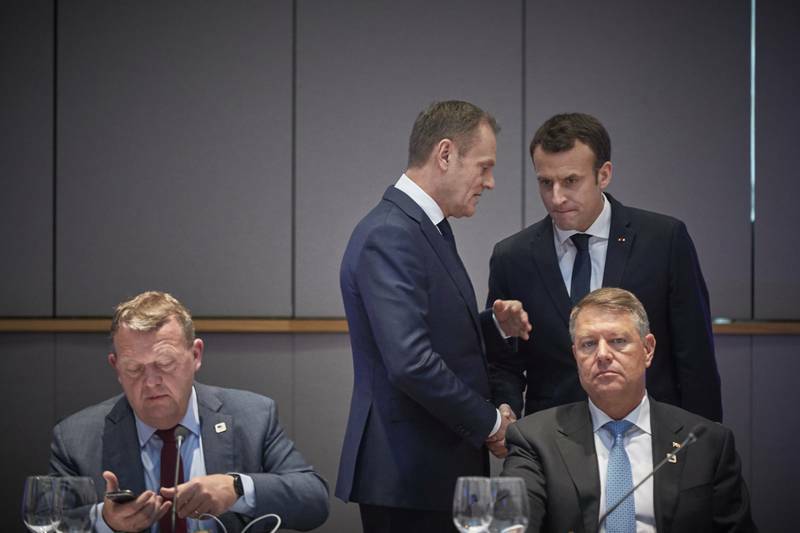 Although Donald Tusk is from the EPP, his speech was in dissonance with the party's statement that "it is completely normal for all elections parties to present candidates and a programme. The simple democratic principle implies one party, one programme, one candidate. This should be the case of European elections too". Jean-Claude Juncker reminded leaders that the Lisbon treaty also provides for a reduction in the number of commissioners in the commission to be formed in 2019. "It seems nobody reads the treaties". The treaty envisaged that the number would be reduced to two thirds of the number of member states from 2014, but the capitals decided to postpone. This is unlikely to happen in 2019 too, but given the possible enlargement after 2025, the topic will return to the agenda probably for the European elections in 2024. The conclusion from this first phase of the talks on the composition of the next European Parliament is that its current composition is standing on the path of increasing its democratic legitimacy and making it less European and more national. Resistance to the transnational lists on behalf of the largest political party, which is expected again to dominate the EP, and even become more dominant, only reveals fear of a change in the status quo. The party is full of anti-European and anti-democratic parties. Despite the victory of Emmanuel Macron, the populist and Eurosceptic crisis has not gone away at all. In Germany, Alternative for Germany is already a second political force, meaning that in 2019 it will send many more MEPs. In Italy, for the upcoming Sunday elections, mainly populist parties are competing, with the anti-European party Northern League taking a great advantage. This shows that next year Italy will send even more eurosceptics and populists to Strasbourg. In Bulgaria, politics is dominated by neo-fascists, nationalists and the party of Prime Minister Boyko Borisov GERB. There are similar situations elsewhere, which suggests that during the next European elections there will be more talk against Europe than about European issues in substance. And the main responsibility for this is of the European political families. Since the eurosceptic crisis has begun, the quality of debates in the European Parliament has worsened. It is very likely that in the next parliament it will worsen even more, which will raise the question of its purpose if MEPs are a continuation of national politics. 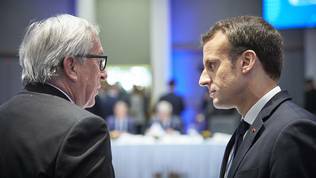 Emanuel Macron's hope that the 2024 elections could push the idea of transnational lists could fade in 2019 if fears that the next EP would be more nationalistic, ergo euro-sceptic would be confirmed.